"Now you see me now you don't." Around his comrades Ruse can often times seem like a jerk because he loves playing practical jokes on them. He was discharged from the Autobots for this reason and tried to join the Decepticons while the Autobots still thought he was a friend. Ruse thought that it would make for a great practical joke. He was able to steal several plans for undeveloped Autobots in hopes that the Decepticons would accept him in exchange for them. However, the Decepticons took most of the plans from him and tried to terminate him because they felt he outlived his usefulness. He eventually befriended Drill Master and Scamp because he felt a strange connection to them. Ruse may never even have met them if his guidance systems of his shuttle had not failed causing him to end up near the LONAC flagship, the LSS Freedom. Dispite Ruse's love for practical jokes, he still does well in battle. 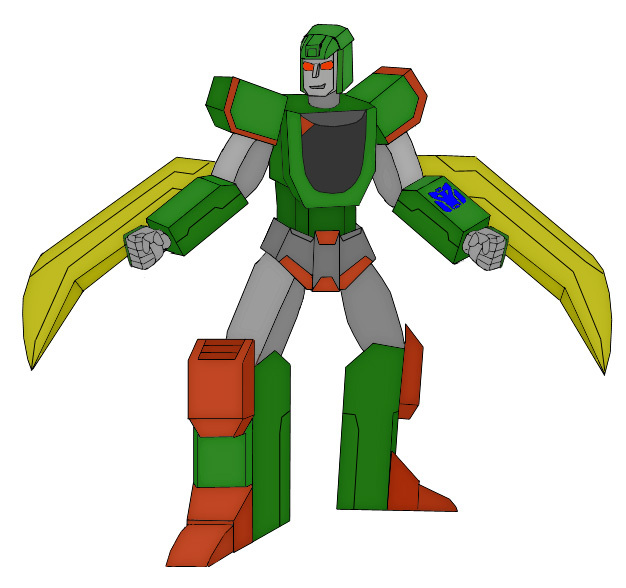 In robot mode he uses his long blades attached to his forearms to slice off enemies' appendages or midsections. He is a very efficient fighter due to his training in ninjitsu, amazing speed, and ability to surprise most of his enemies. He can also uses a photon-pistol and can call forth a triple-thick armored shield (typically stored in an undisclosed location when not in use). Ruse rarely uses them because he prefers face-to-face confrontations. 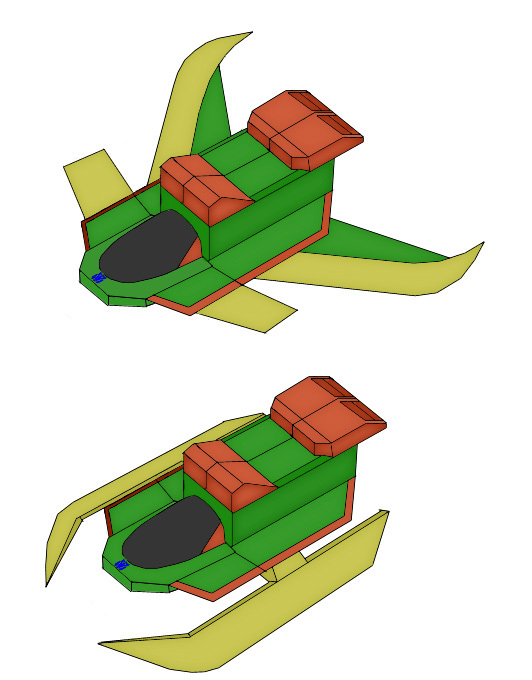 Ruse can transform into a speedboat and travel at speeds close to the sound barrier. Unknown to many, even his comrades, is that he has the ability to convert into a stealth submarine mode by folding his skis underneath his speedboat mode. He uses it to spy on enemies when they are near shorelines or on the water. Ruse also uses this mode in heavy battle to "disappear" when his enemies turn their heads and then attack them from behind. In jet mode, Ruse suffers no loss in speed. He often loses control in this mode because he feels uncomfortable with flight, an ability he did not previously have. Ruse also forms the waist of Razer. A large ship appeared soon after he boarded the Freedom and caused Ruse to lose several hours of his short-term memories. It was just like the stories told to him by Scamp and Drill Master. When he awoke, he had an upgraded body and a new female companion built from one of his stolen plans that he hid from the Decepticons and Autobots. Since Ruse had been discharged from the Autobots and was not welcomed by the Decepticons, he felt he had no choice but to join LONAC. His unplanned trip to the LONAC flagship and the new friends he had made because of it also helped him in deciding to join.